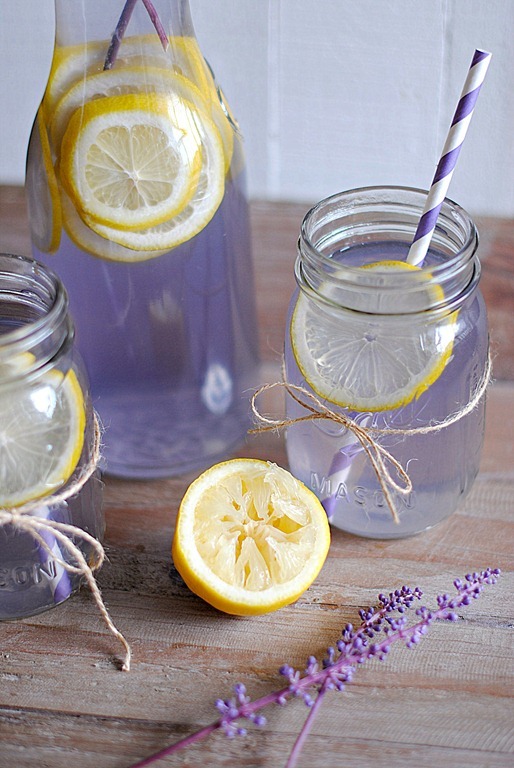 I love, love, love lavender lemonade and this recipe is no exception. If you grow your own lavender this is the perfect way to use it. You will need: water, sugar, agave nectar or honey, dried lavender, freshly squeezed lemon juice, a lemon sliced (for garnish). This is perfect for those hot summer days or for when you have company over, it not only tastes wonderful but even looks gorgeous on the table.